To Dog With Love: Hill's Million Pound Pledge and Alison Sweeney Inspire Pets to Lose Weight! Hill's Million Pound Pledge and Alison Sweeney Inspire Pets to Lose Weight! Is your dog or cat overweight? If they are, you're not alone! Even Alison Sweeney, host of NBC's "The Biggest Loser," has a pet who tends to pile on the lbs! "One out of every two pets is overweight and my dog Winky was one of them," said Sweeney. "I started using Science Diet pet foods to help Winky lose weight and now I want to share my personal experience to inspire owners across America so they too can achieve the same success." Sweeney has teamed up with Hill’s Science Diet to launch the Million Pound Pledge – a national call-to-action for pet owners to help their cats and dogs lose weight and get back on track to living a happy, healthy lifestyle. Check out www.PetFit.com to take the Million Pound Pledge and for a chance to win tickets to “The Biggest Loser” finale! You can also find out how to participate in a live Facebook chat with Alison on January 26 at 1 p.m. ET to discuss how to manage your cat's or dog's weight. There also are cat and dog weight loss tips and rebates for Hill's Science Diet and Hill's Prescription Diet weight management foods. We love the active lifestyle Alison enjoys with her dog Winky, and we do many of the same activities with Cosmo! Cosmo carefully evaluates the fashion options at Saks Fifth Avenue in Chicago. 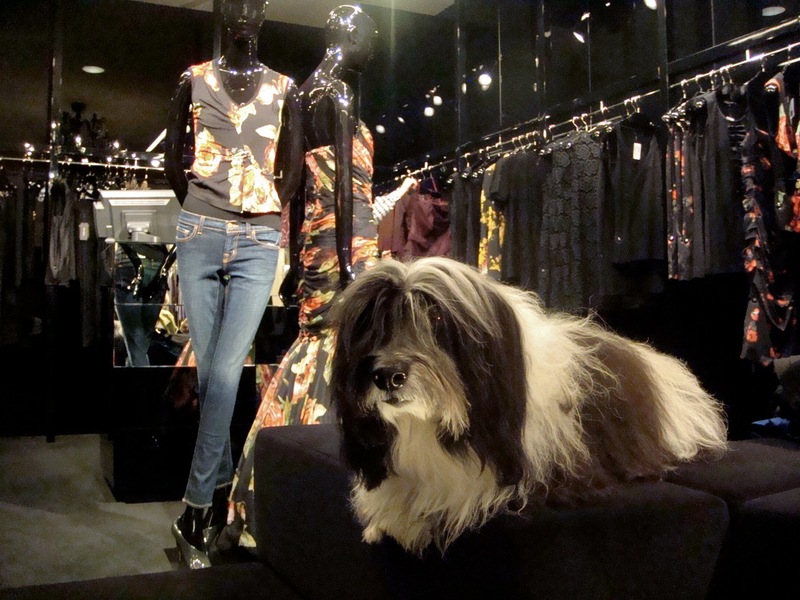 Barneys to Bloomingdale's and all the boutiques in between is good for both you and your pet! Go on, get moving! And take your pet with you! Pet obesity is a big headache for the pet owners. Being overweight the pet shows decrease in physical activities and it also affects their health. I would like to thank the author for sharing this information on pet overweight. This would certainly help the pet owners.